There's no shortage of things to do when taking a trip to Tenerife. Whether it be stargazing, whale and dolphin watching, sports or fine dining, the possibilities are only limited by your imagination. Of the world’s 79 species of dolphins and whales, 21 live near Tenerife, Canary Islands, including permanent colonies of pilot whales and bottlenose dolphins. All live just three miles off the coast year-round. 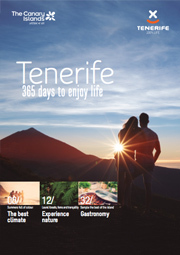 Tenerife’s Spanish heritage dates back to the 15th century, and is home to historical towns, architecture, and sites. Not only do Tenerife’s natural assets give you energy and vitality but a visit to one of the spas, located across the Island, allows time for relaxation. A trip to a spa gives you time to switch off and forget about the daily routine and feel renewed both in body and mind. Blessed with dramatic mountain and seascapes and enhanced by a near-perfect climate, Tenerife in the Canary Islands is a year-round golfer’s paradise. The crystal-clear waters of the Atlantic Ocean around Tenerife and the Canary Islands are filled with a rich diversity of marine life, making for an undersea paradise for the veteran diver to the first-timer. The unadulterated skies of Tenerife, Canary Islands are so clear and devoid of light and air pollution that it is regarded as a premier global site for stargazing by professionals and amateurs alike. There’s no time to be bored on Tenerife, which has many theme parks where you can enjoy unforgettable experiences. Open all year, they are the perfect supplement to all the activities and places to discover on your holiday.